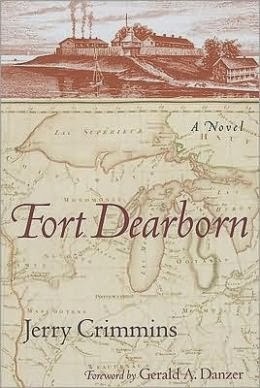 Please join us at the West Town Branch at 6:30pm Tuesday as we discuss “Fort Dearborn: A Novel” by Jerry Crimmins. The branch is at 1625 W. Chicago Ave. The Chicago History Book Club explores the city’s history through reading and discussing books on events, themes, time periods, and personalities that have contributed to making Chicago what it is today. If you cannot join us this time, please stop by the branch pick-up our next book “The Plan of Chicago: Daniel Burnham and the Remaking of the American City” by Carl Smith. On Thursday the West Town Branch at 6:30pm will host the Letter Writers Alliance. Has your handwriting fallen by the wayside? Do your penpals suffer trying to read your letters or does your scribble hold you back from letter writing? We'll help you get your penmanship fit for correspondence with guided practice and take-home techniques. We'll also have tips and & tricks in how to "cheat," like using a lightbox and pens that make your writing look fancier. All supplies are provided, just bring yourself and hands at the ready. For more information on the presenting organization, please visit Letter Writers Alliance. On Oct. 10 the West Town Branch will screen the documentary “Salt” as part of our ongoing POV film series. In his search for “somewhere I could point my camera into pure space,” award-winning photographer Murray Fredericks began making annual solo camping trips to remote Lake Eyre and its salt flats in South Australia. These trips have yielded remarkable photos of a boundless, desolate yet beautiful environment where sky, water and land merge. Made in collaboration with documentary filmmaker Michael Angus, “Salt” is the film extension of Fredericks’ work at Lake Eyre, interweaving his photos and video diary with time-lapse sequences to create the liberating and disorienting experience of being thrown into an infinite dimension of mind and spirit. This 6pm event is in collaboration with the award-winning documentary series POV (www.pbs.org/pov). Moneysmart: Tax Law Updates for Small Businesses The next installment of our ongoing Moneysmart program will be Oct. 17. This 6pm workshop is for new and prospective business owners. Learn the basics of business taxes, the different types of small business organizations and tax returns. Get tips on required record keeping and the latest tax updates. The West Town Branch will be host to StoryCorps on Oct. 19 from noon-3pm and Oct. 22 from 4:30-7:30pm. Since 2003, StoryCorps has collected and archived more than 45,000 interviews with nearly 90,000 participants. Each conversation is recorded on a free CD to share, and is preserved at the American Folklife Center at the Library of Congress. StoryCorps is one of the largest oral history projects of its kind, and millions listen to weekly broadcasts on NPR’s "Morning Edition." As Chicagoans continue to read the One Book, One Chicago selection “The Warmth of Other Suns: The Epic Story of American's Great Migration” by Isabel Wilkerson, CPL invites the public to share their stories of migration with StoryCorps. Just as tens of thousands of African Americans moved to Chicago as part of the Great Migration, people from around the globe continue to arrive in Chicago and make their home. Participants must register to participate by calling (312) 747-8191 or emailing onebookonechicago@gmail.com. On Oct. 24 the West Town Branch will host a 6pm discussion of the current One Book, One Chicago selection “The Warmth of Other Suns: The Epic Story of America's Great Migration” by Isabel Wilkerson. At 6pm on Oct. 24, we will be screening “5 Broken Cameras” as part of our ongoing POV film series. Nominated for an Oscar, “5 Broken Cameras” is a deeply personal first-hand account of life and nonviolent resistance in Bil’in, a West Bank village where Israel is building a security fence. Palestinian Emad Burnat, who bought his first camera in 2005 to record the birth of his youngest son, shot the film and Israeli filmmaker Guy Davidi co-directed. The filmmakers follow one family’s evolution over five years, witnessing a child’s growth from a newborn baby into a young boy who observes the world unfolding around him. The film is a Palestinian-Israeli-French co-production. November will include more POV films, book club meetings, a Moneysmart workshop and on Nov. 2 at 2pm, a reading and book signing by local author of McSweeney’s fame, Adam Levin.